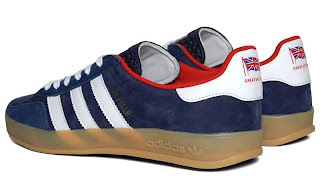 As the kit supplier to Team GB for the London Olympics, Adidas have released several highly limited colourways in some of their most famous archive silhouettes. 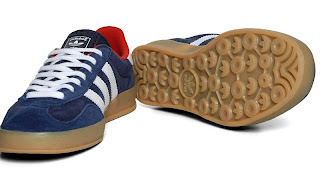 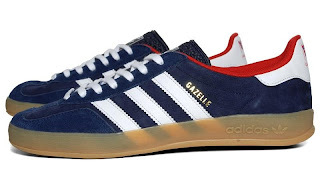 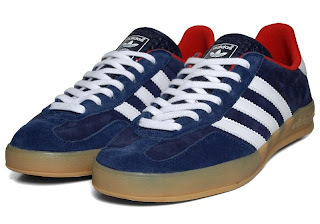 This version of the hugely popular Gazelle Indoor comes in a colourway inspired by the Team GB colours, expertly finished in premium suede, with the original detailing - such as the famous clear sole - still at the fore. Limited numbers.